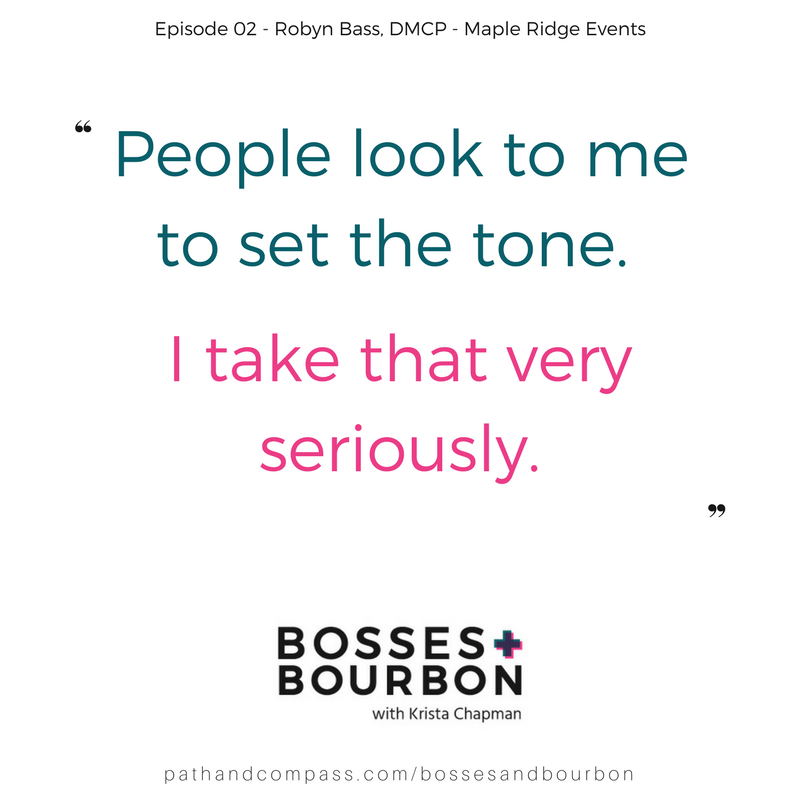 For today’s episode, I sat down Robyn Bass at her Nashville office to talk shop over coffee (too early for bourbon!). Robyn is the CEO and owner of destination event management company, Maple Ridge Events. Robyn’s path into the event industry began after a short live dream to be a country music singer. 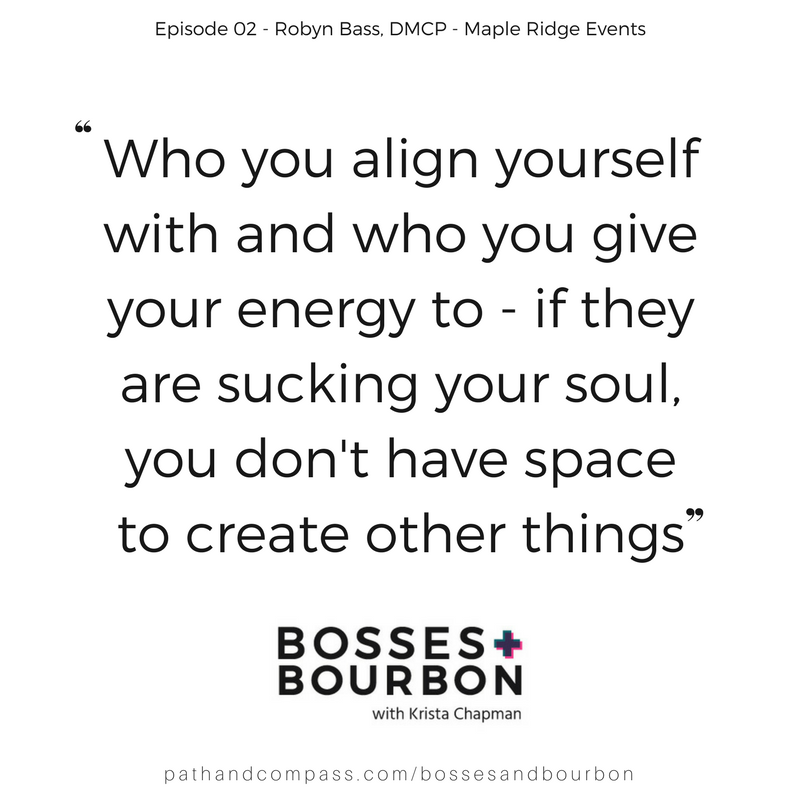 When a career as a country music superstar wasn’t in the cards, Robyn began working for local restaurants and event companies, cultivating the knowledge and passion that serves her now. It was a natural disaster that became the catalyst for her transition to business ownership. We talk through how a not so great job connected her to the key players of her current success, how failures are where you learn the best (and hardest) lessons and how building a team around the company culture she envisioned has helped her take her company to the next level. Plus some notes on luck and her extensive home bourbon collection. Pretty sure our next conversation will be at her place! You have to analyze your weaknesses, and find somebody to fill that. A business has to exist outside of you. Sometimes you have to take business because you need the money. It doesn’t mean you have to market that business or include that in your messaging. Connect with Robyn on LinkedIn and learn more about Maple Ridge Events by visiting their website.